Make a contribution or join/renew your membership with Peace Action Maine today! Your pledge will count as a membership and therefore give you access to all membership benefits. 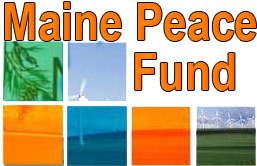 Support Maine Peace Fund with your one-time or monthly tax-deductible donation. Whenever we speak with elected officials or members of the press, they ask how many members we have. More members strengthens our voice. As a member, you will also receive great benefits such as discounts on events, like our annual Conference!